The real estate industry is fast paced and ever-changing. To excel when it comes to selling homes and commercial properties, the agent on the case has to have initiative, drive, personality and character. Most importantly though, that person has to be able to adapt; to a quickly evolving market, and the swiftly flowing needs of their clients. Because the field is so demanding and conquering it takes such ingenuity, it’s important to honor top agents for their commitment and skill. The value of agents who sell well and help place prospective buyers cannot be understated. And that’s why recognition is such an important part of this business. For that Top Producer of the Year, we’ve got the award for you. This gorgeous, balanced, 100 percent optical crystal piece was tailor-made to honor the driver of your business, that top salesperson who always goes above and beyond. 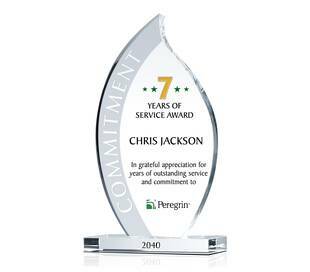 Trying to find a way to honor your #1 Top Agent? We’ve got a custom creation that will delight the real estate agent at the head of the class. Shaped like the iconic number 1 and easily personalized, this display piece is an obvious choice for the top real estate agent on your team. If there’s promising new talent on your team, that special Rookie of the Year deserves respect and recognition. There are few challenges in life more daunting than taking on a new industry; so when someone excels doing just that, it’s past time to celebrate. What about the agent responsible for the highest total sales volume? Is there an award for that staggering achievement? 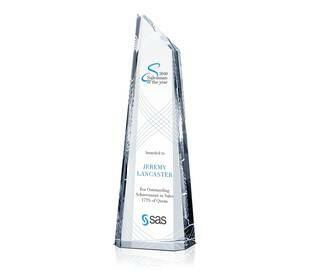 The answer is yes, and this beautiful Highest Total Sales Volume Award is unparalleled in design. Your honoree will truly feel like he or she is ‘number 1’ and you can rest assured that this memento was built to last. For inductees into that special circle of achievement, those who’ve sold at least a million dollars in real estate, the milestone should be marked with excitement. 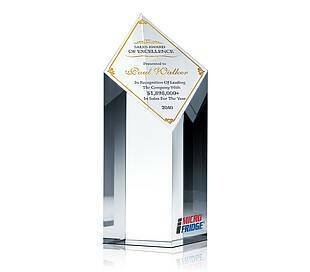 And what better way to do that than with a Million Dollar Club Award made of the finest materials? This piece combines optical crystal and black glass in a nod to elegance, and high-achievement. What does it take to be a member of the President’s Club? Dedication to one’s craft and success worth celebrating. 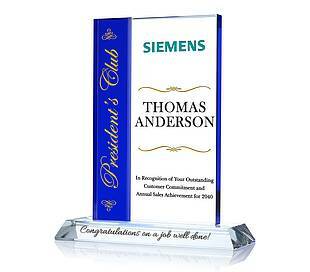 The perfect way to do that is by indulging in a gorgeous piece like the President’s Club Award. Every star in his or her field should have a star worth holding onto. The all-time greats deserve to be recognized in a way that sets them apart from the rest. Our gorgeous Hall of Fame Award separates the few from the rest, the highest-flyers from those still trying to reach the sky. For real estate agents who have consistently done wonderful work, over a career peppered with distinctions and honors, they belong inside the Circle of Excellence. And our Circle of Excellence Award is in class all its own. This self-supporting beauty is sure to charm any inductee. No matter how you choose to recognize top real estate agents, just remember how much passion and perseverance goes into the work they do each and every day.